Finally, the much awaited Frontrow International Hot Air Balloon Festival is happening this April at Clark Global City where the sky will be dotted again with giant animals, happy faces, and other improbable flying objects alongside the classic striped hot air balloons. This year’s Frontrow International Hot Air Balloon Festival on April 12 to14, promises to be even bigger, bolder, busier, and better.  The event boasts of a bigger and more accessible venue at Clark Global City—a thriving hub of industry and commerce that you can literally get to by air, land, and sea. 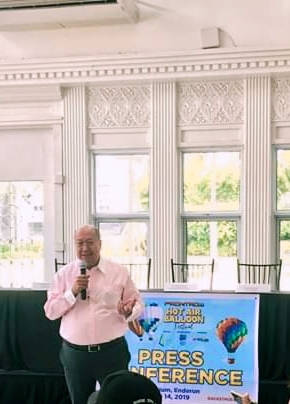 At the presscon held recently at Enderun Collge, Global Gateway Development Corp. Vice Chairman and President, Wilfredo Placino laid out the plans for this year’s festival. 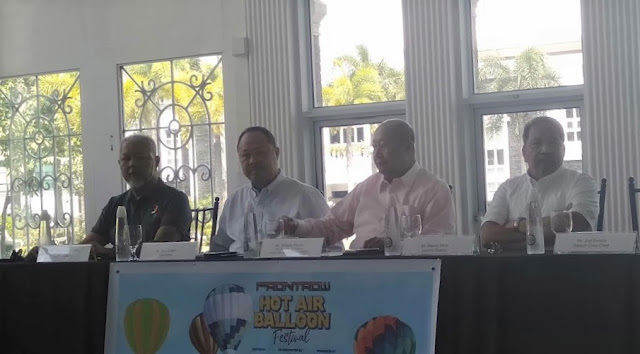 Not to be mistaken with the Lubao Hot Air Balloon Festival which will happen a week before the Frontrow International Hot Air Balloon Festival, the Balloon Festival promises to be a feast for all the senses and will involve activities that will be love by all attendees. 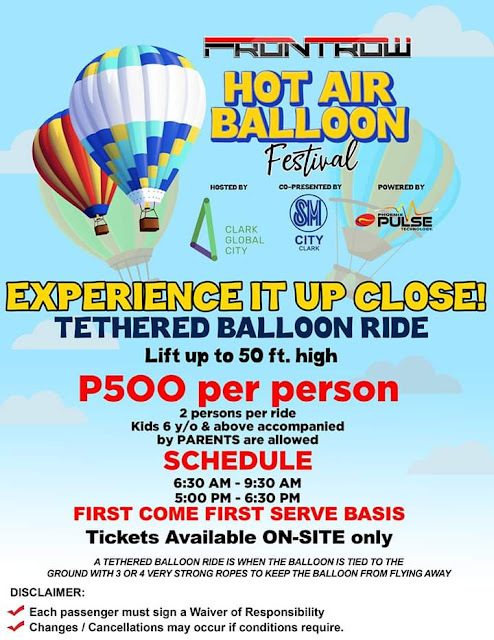 Longer hours for tourists/attendees to experience riding in a tethered balloon and no more expensive rates unlike in other festival since for only 500 pesos you get to be up in the sky. Regular shaped balloons can make tethered flights from 6:30 to 9:30 in the morning and if wind condition permits, from 5:00 to 6:30 in the afternoon. 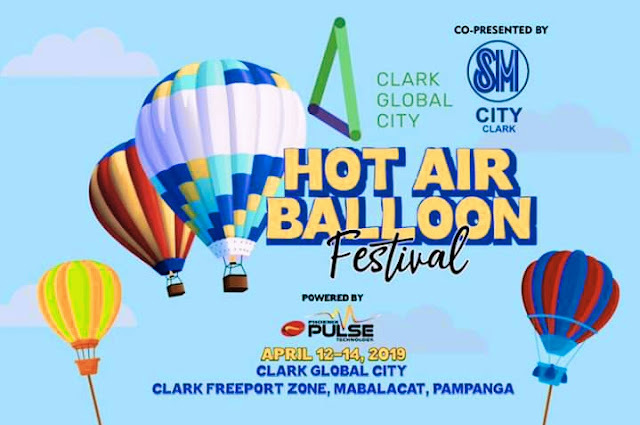 Held in cooperation with SM City Clark and sponsored by Phoenix Pulse Technology, Dickies and Clark Medical City, the Frontrow International Hot Air Balloon Festival promises to be fun for all and a weekend that you wouldn’t want to miss.